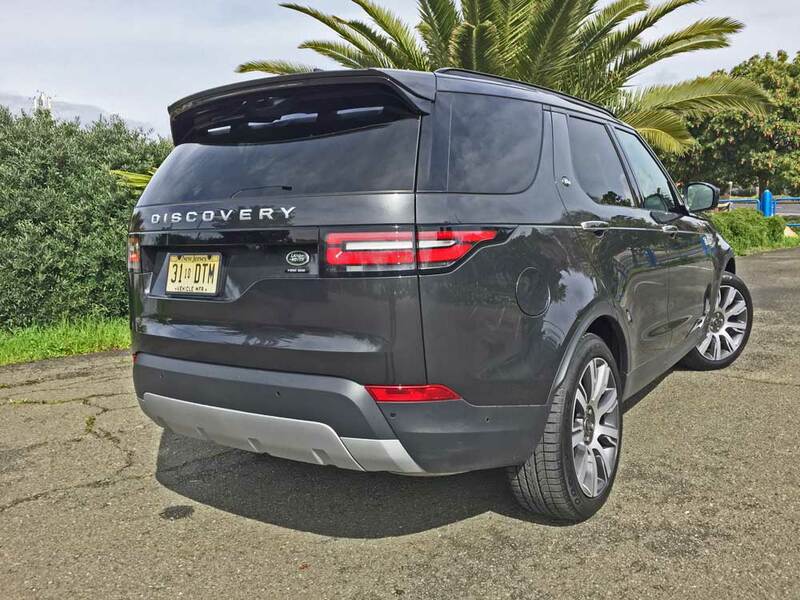 The fifth generation 2019 Land Rover New Discovery blends a stunning new exterior design with a highly versatile interior that’s capable of seating up to seven adults comfortably in three rows with usable space for their gear. The result is a revolutionary full-size go, anywhere, do anything vehicle that brings new levels of sophistication, desirability, capability and versatility to the Discovery stable. The New Land Rover Discovery for 2019 remains unmistakably a Discovery despite the fact that displays a very different look. Surfaces are sophisticated and proportions have been optimized and blended with appealing detailing and precision manufacturing, creating a highly capable and versatile SUV with a more evocative persona than ever before. Outside, the distinctive roofline of previous Discovery models remains, providing the ideal solution to practical interior spacing needs. Up front, the sculpted surfaces, jewel-like headlamps and raked windshield deviate from tradition, with the daytime running lamps delivering an updated and up scale look and a distinctive new light signature. 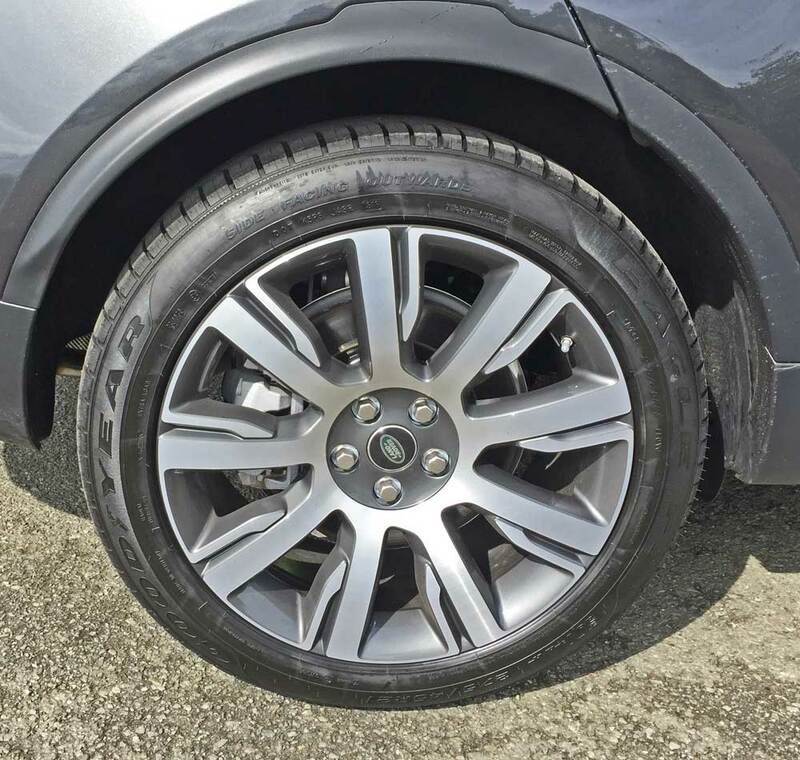 From the side, the styling proportions showcase Discovery Sport-like wheel arches, that visually lock them to the bodywork with their smooth contours for a more planted attitude. The New Discovery is the most aerodynamic yet with a drag coefficient from 0.35 for enhanced efficiency and Reduction if NVH properties. Bringing up the rear, the lamps deliver a horizontal emphasis, and the tailgate is now a one-piece unit fro a sportier effect with its rounded profile. The gate opening is larger for easier loading and unloading and incorporates a streamline spoiler lip. Moving into the cabin, the design focus was to provide an elevated and sophisticated level of functionality and versatility, enhanced by expert craftsmanship, precise finishes and the utilization of premium materials. The central infotainment and climate control panels are refined, intersected by a strong clean vertical pillar. The console features simplified switchgear designed to remain intuitive, reducing driver distraction. Configurable ambient lighting and available contrast stitching serve up a luxurious, crafted feel to the entire cabin. A wide choice of material finishes are available throughout, including premium Windsor leather and Natural Shadow Oak veneers; the interior is available in a choice of five colors including Ebony, Acorn, Nimbus, Vintage Tan and Glacier. In the Land Rover New Discovery, storage spaces abound with upper and lower instrument panel stowage, upper and lower glove boxes, front and rear center console storage, third row cubby boxes, front and rear and upper and lower door storage. There are also map storage pockets (who uses maps anymore?) and other storage nooks. There are six 12V and up to seven USB charging point. For customers not requiring the folding third-row seats, the all-new Discovery comes standard in a five-seat configuration. 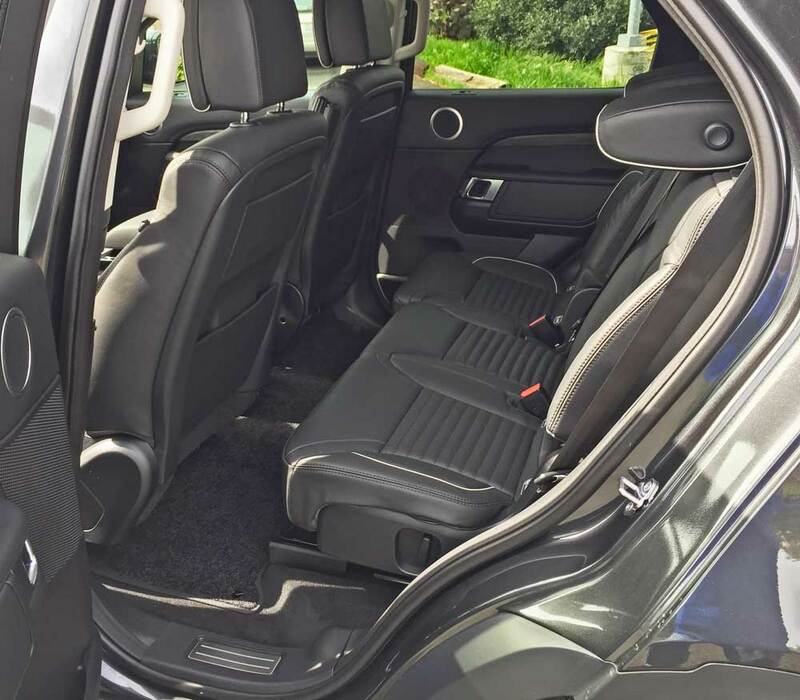 Heated seats are available in the front, middle and the third row, while a total of four ISOFIX mounting points make it possible to fit child safety seats in the rearmost row. Up front, heated and cooled climate seats with a massage function and 16-way adjustment are also available. Switches behind the third row allow the seats to be folded and unfolded at the touch of a button, while standing behind the vehicle. A switchpack located on the C-pillar allows adjustment of third-row seats from the rear doors. The row two and three seats can also be reconfigured using the main touchscreen display from inside the vehicle. 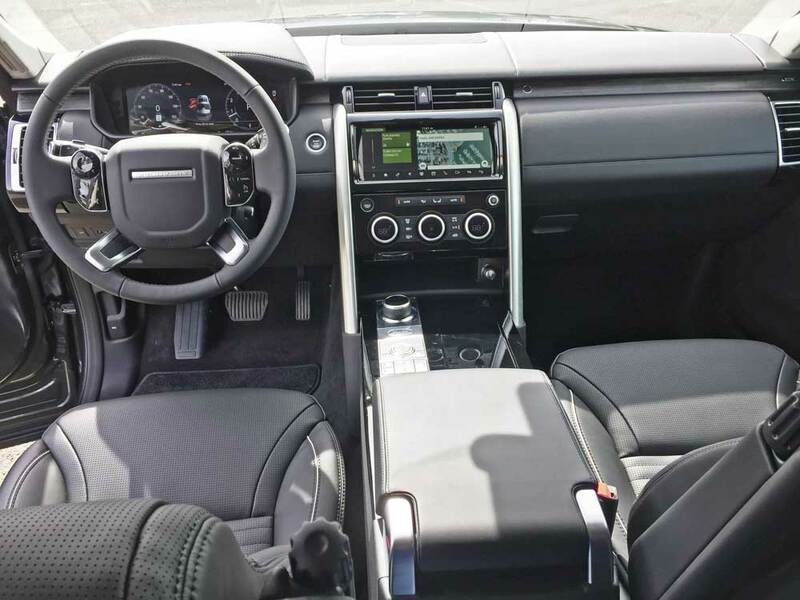 Seats may also be adjusted remotely using Land Rover InControl Remote smartphone app technology, allowing customers to rearrange the seating layout before they reach the vehicle; for example from the checkout of a store when purchasing large or bulky items. 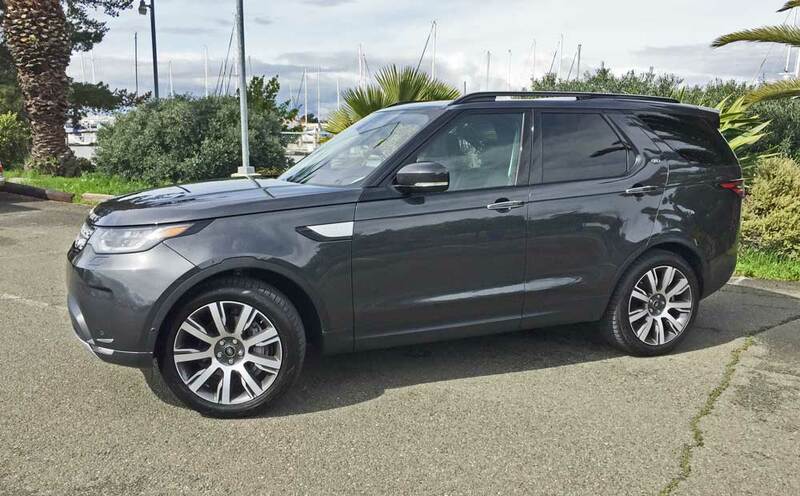 In the U.S. , the standard model range consists of SE, HSE and HSE Luxury derivatives, with an optional Black Design Packages available on all variants. And there was a First Edition Model, limited to 500 units. A new optional Land Rover Intelligent Seat Fold function allows owners to reconfigure the second and third row seats using switches just inside the tailgate, on the C-pillar, via the infotainment touchscreen, or even remotely using a smartphone. A powered Inner Tailgate uses an additional fold-down section that deploys when the tailgate is opened. The 11.2 in. long tailgate serves as impromptu event seating and is able to support a maximum load of 661.4 lbs., making it the perfect place to enjoy a tailgate picnic or to change out of muddy boots under the shelter of the tailgate. 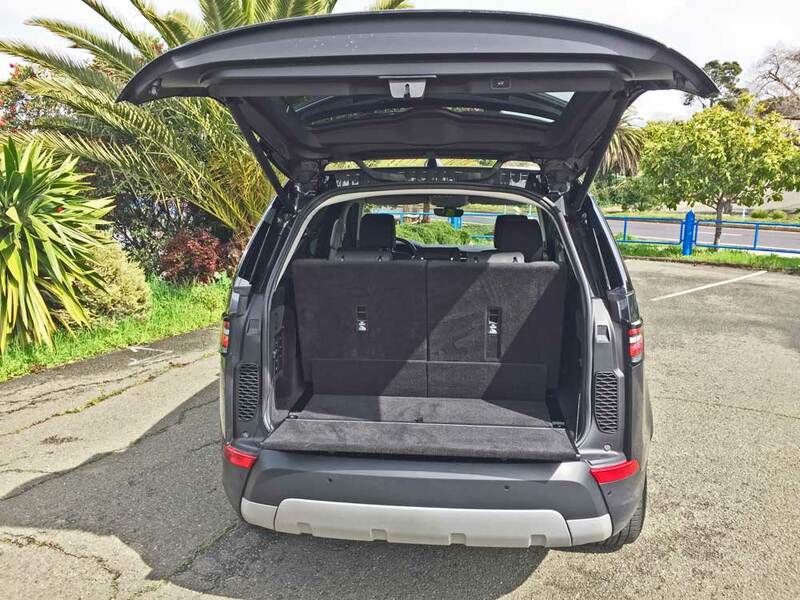 Opening the single-piece tailgate using the key fob or gesture controls raises the trunk lid and lowers the inner tailgate panel, which fits vertically against the closed tailgate, automatically. Using the button on the tailgate leaves the panel in its raised position, so it functions as a load retainer to prevent loose or unsecured items from falling out of the trunk. A button inside the load area can then be used to lower the Powered Inner Tailgate section. An optional Activity Key allows owners to lock and unlock the vehicle without the need to carry a conventional key fob. Land Rover’s InControl Touch Pro system takes care of the New Discovery’s Infotainment and connectivity features – more than ever before. With access to an extended range of apps through its10-inch high-resolution touchscreen display. Included is Wi-Fi for up to eight personal devices. Bluetooth comes standard through the range and allows the use of selected apps via smartphones. There’s Android Auto and Apple smartphone and watch compatibility as well. 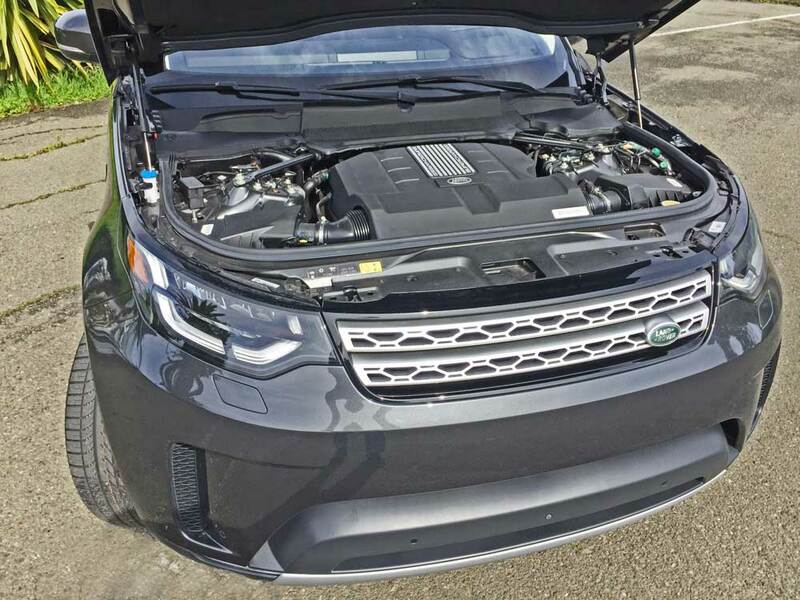 There are two engines available to power the New Discovery, available in all trim levels and seating configurations: there’s a 254 horsepower 3.0-liter TD6 diesel with 443 lb.-ft of torque and a 3.0-liter Si6 gasoline engine that produces 340 horsepower along with 332 lb.-ft. of torque. Both Longitudinally –mounted front engine route energy to the full-time all-wheel drive system with twin speed transfer case via an efficient eight-speed ZF automatic with rotary controller that rises from the center console, and steering wheel mounted paddle shifters. There’s also a single-speed transfer case with Torsen differential available for consumers who don’t require a low range grearbox. 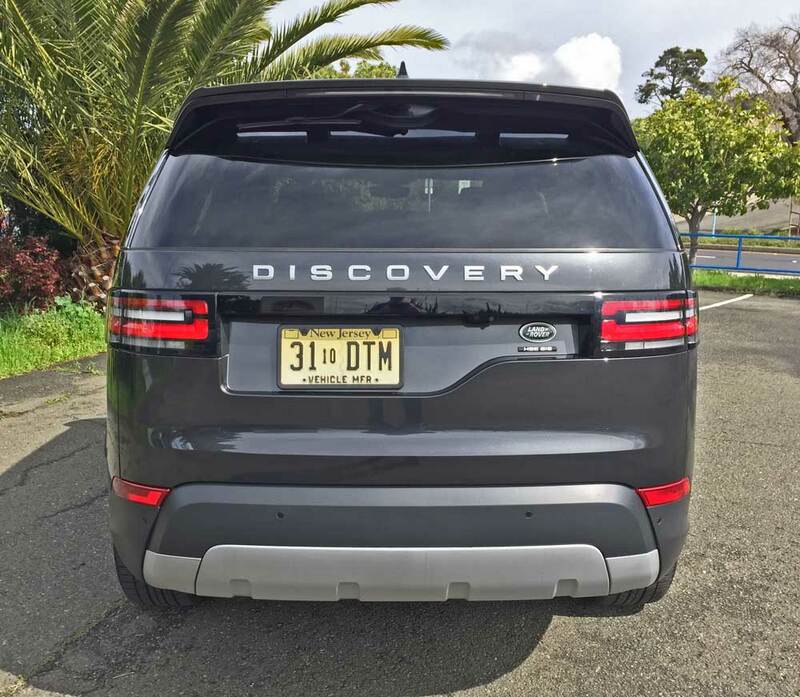 My test 2019 Land Rover New Discovery came in HSE Luxury trim and three-row, seven seat configuration powered by the 3.0-liter Si6 engine. The base price was $66,800., while the final tally came to $79,730., after factoring in all options and the destination and delivery charge. The exterior was sprayed Carpathian Gray metallic and featured an Ebony interior with Ivory piping and natural Charcoal Oak veneer trim accent elements. 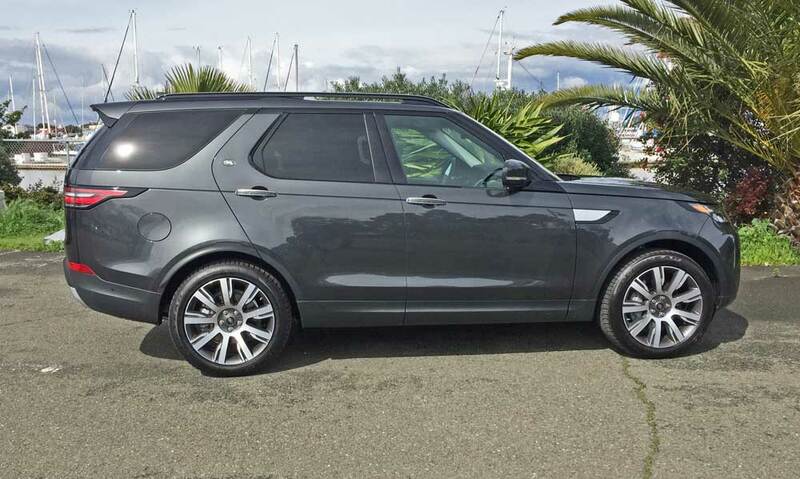 The Land Rover New Discovery is a comfortable and reliable on road performer that really shines in its off-road capability performance capability thanks to the innovative All-Terrain Progress Control, Terrain Response 2 Auto and Four-Corner Air suspension. Additional all-terrian technologies include: Hill Descent Control; Gradient Release Control; Electronic Traction Control; and Roll Stability Control. An Advanced Towing Technology – Advanced Tow Assist is optionally available, making full use of the New Discovery’s towing capacity of up to 8,201 pounds. Ride quality is comfortable regardless of the terrain’s surface and the handling characteristics are comparable to those of a sport sedan. Adding to confidence-building security are several cutting edge driver assist technologies such as: Hill Start Assist, Engine Drag torque Control, a Parallel Park system with Parking Exit and Perpendicular Park. Adaptive Cruise Control and Blind Spot Monitor along with Driver Condition Monitor, Surround Camera System, Lane Departure Warning and Lane Keep Assist. The 2019 Land Rover New Discovery is a superlative vehicle for short or long distance travel on or off road delivering Land Rover’s iconic, legendary prowess for adventure in luxury. It has progressed in revolutionary fashion and now ranks as my favorite Land Rover model as it is now void of a boxy image and showcases a sporty persona, though I personally would probably eliminate the optional third row. The all-new Discovery is manufactured at the Jaguar Land Rover Solihull production facility in the West Midlands, UK, alongside Range Rover and Range Rover Sport. 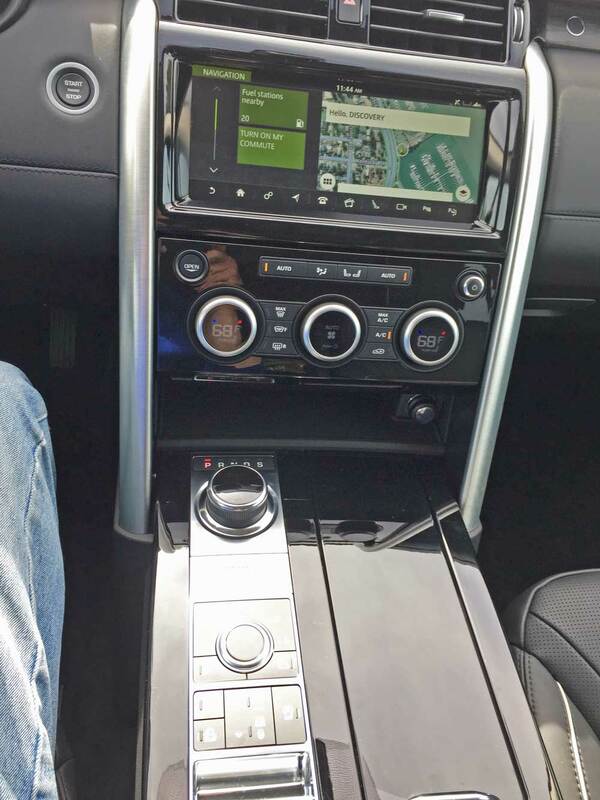 Transmission: Eight-speed ZF automatic with rotary controller and steering wheel mounted paddle shifters. Drive Train: Longitudinally –mounted front engine / All-Wheel Drive with Twin Speed Transfer Case. Suspension: Front – SLA Suspension with Twin Lower Links, Four corner Air Springs, Passive Dampers and Passive ARB. Rear – Integral Link Suspension with Four corner Air Springs, Passive Damper and Passive ARB. Brakes: Power-assisted four-wheel discs (vented front) with ABS, ETC, RSC, DSC, EBA, HDC and EBD. Tires: Goodyear Eagle F1 SUV 4×4 275/45 R21 mounted on 9 long and 9 small machine face spokes with painted inners.